Why is My AC Not Blowing Cold Air? Home » Why is My AC Not Blowing Cold Air? There is nothing worse than a malfunctioning air conditioner on a sweltering summer day. There are a variety of factors that could cause your AC unit to blow hot or lukewarm air. 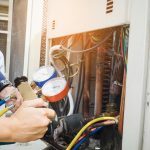 When it comes to fixing your AC unit, there are several steps you can take to troubleshoot the problem yourself before calling a professional for help. Below, we will walk you through the most common issues seen with AC units that you can solve as well as identify when it’s necessary to call an HVAC company for expert assistance. Power Issues. It sounds silly, but sometimes the AC unit is not working properly due to different power issues. Make sure the AC unit is correctly plugged into the wall and that the cord is still in good working condition. Some people overlook the most obvious issues, so it’s good to check. Circuit Breaker. Because AC units require large surges of power, it’s also important to check that it hasn’t tripped the circuit breaker. AC units that are not properly maintained are more likely to trip the circuit breaker as well. 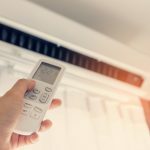 So, if you experience this issue, it may be a sign that your AC unit could need professional attention to clean buildup or make technical repairs. Air Filter is Clogged. The filters on your AC unit get dirty rather quickly. It’s always important to check your air filter frequently to make sure that the air filters and coils are not dirty, as they can result in poor airflow. Many AC units will actually shut down if the air filter is not properly filtering air, so if your AC unit isn’t working at all, this could likely be the problem. Low Refrigerant Pressure. Refrigerant is vital to keeping air cold. During the cooling process, refrigerant drops to a low temperature and fills the evaporator coils, which cool as warm air passes over them. When there is not enough refrigerant in an AC unit, it can produce lukewarm air. Although refrigerant never depletes, it can in fact leak. Most cases of refridgerant leaks need to be looked at by a professional as soon as possible. If your AC unit is making hissing or bubbling sounds and can’t cool your home down on hot days, it’s important to turn your AC off until a professional can inspect it, because running your AC unit in this condition can cause irreparable damage. Air Duct Issues. Another reason your AC unit could be blowing warm air is because of air ducts. Air ducts are used to transport clean air back into the building. So when the air ducts experience a tear, it can cause the air conditioner to not blow cold air. If you suspect there is a problem with your air ducts, an HVAC technician can inspect them and determine if it’s the issue. Bad Compressor. The compressor is the part of the AC unit that circulates refrigerant between the inside and outside unit. If it is damaged in some way, then the AC will not be able to adequately cool your air. If this is the case, then it may need replacing. An HVAC repair technician will be able to inspect the compressor and let you know your options if this is the case. If you’ve gone through the above troubleshooting list and are still experiencing an issue with your AC not blowing cold air, Figlia & Sons is here to help! Since 1960, we have been servicing NYC clients in HVAC repair, PTAC repair, and window unit repair in a variety of industries including residential condos, management companies, real estate development, healthcare facilities, hotels and more. 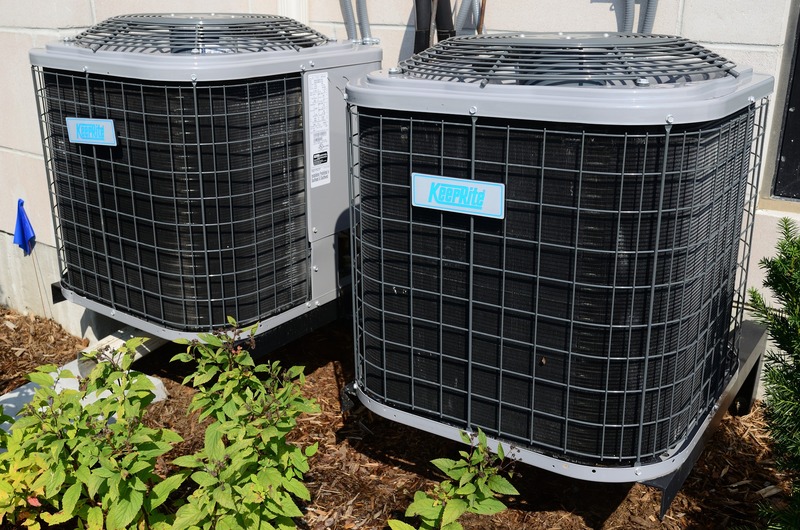 With over 50 years of experience in the AC repair industry, we provide some of the fastest, most reliable service for AC repair. Contact us today at 917-979-5731. Why Is My AC Unit Leaking Water? Why Is My Furnace Leaking Water When the AC Is On? Copyright All Rights Reserved © 2019, Figlia & Sons, Inc. | Website design by FLUX! I consent to Figlia & Sons collecting my details through this form.